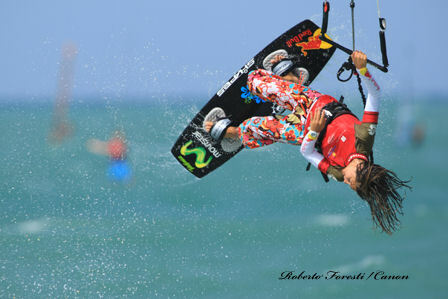 Welcome to Tarifa, home of the Levante and Poniente and the fifth Tour stop of the PKRA 2008 World Tour. Once again, the fifth stop of the PKRA 2008 World Tour kicks off at Valdevaqueros Beach in Tarifa, Spain for the third straight year. 26 competitors registered for Round 2 of the BKSA at Exmouth. There were 12 seniors, 7 Men, 5 Ladies and 2 juniors all were given a numbered rash vest for the weekend. Competitors from far and wide with the Whitley’s from Manchester making the trip! From Maui to Oahu, eight kiteboarders will be in the air and on the waves for the first ever kitesurfing channel crossing on July 26th-27th. PKRA, the world foremost authority on kiteboarding concludes the Freestyle competition in this beautiful beach in Cabarete, Dominican Republic. He lives in Tarifa, Spain, and at the tender age of 13, with just one year of kitesurfing under his harness, is already making big waves. When Fuerteventura calls, they all come. 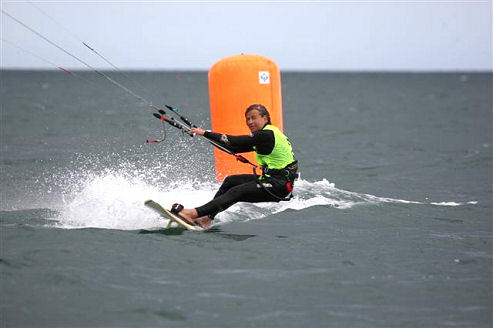 The island, situated in the Canaries, has got the wind the windsurfers and kiteboarders need. Guaranteed. Plus, there’s the bonus of white sandy beaches, blue skies and summer-like temperatures.